It will be a horse lovers paradise on Saturday, Sept. 9, at the Para Hevea Equine Facility as the Arabian Horse Breeders Association of Oregon puts on its annual Fall All Breed Schooling Show just outside Canby. The eighth annual event will feature 64 classes and bring riders of all ages to the facility, located at 9936 S. Schneider Road, to show a wide array of horses. And horse lovers of all ages, even if they aren't showing, are more than welcome to come and enjoy, said Julie Hedden, president of the AHBAO. "There's so much going on and if you like horses you will really enjoy seeing the different breeds and types of horses that will be at the show," she said. "We encourage people of all ages to stop by and see what it's all about. If you're into horses, you'll have a great time." Among the many classes that will compete are the Champion Showmanship Class, which will have all of its entry fees donated to Arabian Horse Rescue and Education Inc., whose purpose is to rescue and re-home Arabian horses at risk of shipping to slaughter, mentor youth, and educate the public on the sensitivity and versatility of the Arabian breed. "We rehabilitate our horses with the hopes that they will become adoptable companion horses. We mentor youth so that they can see the intricate demeanor and beauty of these horses. Each horse that we rescue receives individualized treatment, care, and training, so that its' full potential can be realized," says the website. "This is an important cause for our association and we want to support the wonderful work they are doing with the Arabian horse breed," said Hedden. "We're excited to be part of what they are doing with our show." Another interesting addition to the show is a "handicappable" class focused on those who may need assistance in the ring. "Horses are a proven source of positive interaction with folks who have special needs and we want them to have a chance to ride and show within our show," said Hedden. "The love of horses isn't confined to any one group and we want to reflect that love and inclusiveness in our show. We hope people will take advantage of this opportunity and show in this class." 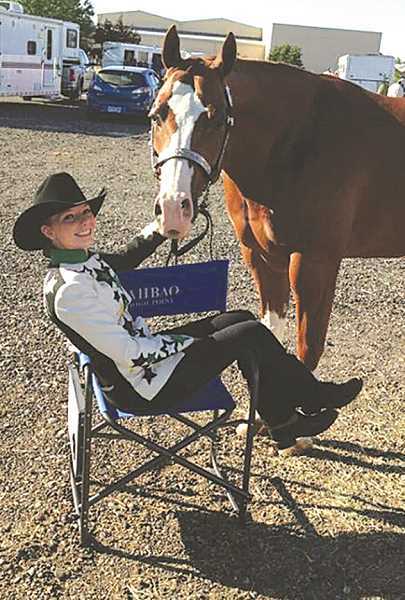 This year's show features classes under halter, English, and western, including saddle pleasure, novice rider walk-trot, solid color pleasure, costume class, equitation and plenty more. "We have a little something for everyone and it's important to remind people that this is an 'all breed' show, not just for Arabians," said Hedden. "I'm hoping we get a lot of different breeds and riders taking part. It's going to be a lot of fun for everyone." The show office opens at 7 a.m. and competition begins at 8 a.m. and lasts into the evening. Hedden will serve as the judge for this year's event.